As warned, after multiple staged incidents used to ratchet up fear and paranoia in the build-up to US and its allies’ military intervention in Syria and Iraq, at least two live attacks have now been carried out in Canada – precisely as they were predicted. A young convert to Islam who killed a Canadian soldier in a hit-and-run had been on the radar of federal investigators, who feared he had jihadist ambitions and seized his passport when he tried to travel to Turkey, authorities said Tuesday. 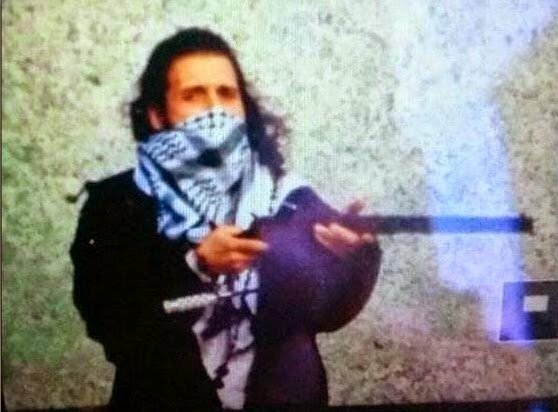 While the name of the Ottawa gunman is yet to be announced, a number of officials told numerous media that the shooter is believed to be Michael Zehaf-Bibeau, a recent Muslim convert, allegedly designated as a high-risk traveler. Michael Zehaf-Bibeau was born in Quebec as Michael Joseph Hall north of Montreal, two US officials told Reuters, claiming that American law enforcement agencies have been advised that the attacker recently converted to Islam. AP sources also identified the man to be Zehaf-Bibeau. A Twitter account associated with Islamic State militants tweeted a photo they identified as the Ottawa shooter. The Globe and Mail reports that the shooter was designated a “high-risk traveler” by the Canadian authorities with his passport seized. Clearly, both suspects were under the watch of not only Canadian authorities, but also US investigators, before the attacks. It was warned last month after security agencies staged scares in both the US and Australia, that suspects under investigation, being walked through planned terrorist attacks by Western security agencies as part of “sting operations” would inevitably be switched to live terrorist attacks. According to court records, Elfgeeh attempted to provide material support to ISIS in the form of personnel, namely three individuals, two of whom were cooperating with the FBI. Elfgeeh attempted to assist all three individuals in traveling to Syria to join and fight on behalf of ISIS. Elfgeeh also plotted to shoot and kill members of the United States military who had returned from Iraq. As part of the plan to kill soldiers, Elfgeeh purchased two handguns equipped with firearm silencers and ammunition from a confidential source. The handguns were made inoperable by the FBI before the confidential source gave them to Elfgeeh. It was warned that only an inoperable firearm stood between Elfgeeh’s arrest and his successful execution of deadly plans hatched by him and his undercover FBI handlers. This script, written by the FBI to entrap Elfgeeh, would be followed almost to the letter in live attacks subsequently carried out in Canada resulting in the death of two Canadian soldiers. Conveniently, both suspects are now dead and little chance remains of ascertaining the truth of who they were in contact with and how they carried out their deadly attacks. With both suspects having been on both US and Canadian watch lists – it is very likely undercover agents were involved in either one or both cases. While many possibilities exist, Western security agencies should be among the first suspects considered as potential collaborators. Morell warned that over the long-term the extremist group could be planning for a 9/11-style attack that killed thousands of Americans. The FBI has a long list of foiled terror plots of its own creation. More disturbingly are the plots they conceived but “accidentally” allowed to go “live.” One might recall the 1993 World Trade Center bombing. FBI agents, according to the New York Times, were indeed overseeing the bombers that detonated a device killing six and wounding many more at the World Trade Center. 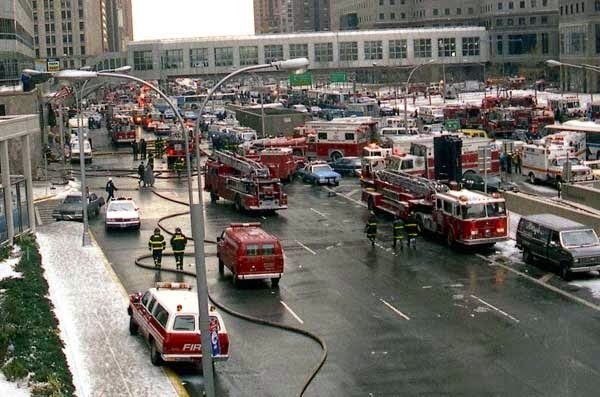 Considering the 1993 bombing and the fact that the FBI literally oversaw the construction and deployment of a deadly bomb that killed 6, it is clear that the FBI can at any time through design or disastrous incompetence, turn one of their contrived entrapment cases into a live terror attack. One can only guess at how many similar FBI operations are currently taking place within the United States involving ISIS sympathizers – any one of which could be turned into a live terror attack provided the weapons handed over to potential terrorists are functioning, just as the bomb was in 1993 when it was driven into the lower levels of the World Trade Center. It is very likely that the recent attacks in Canada involved at least one “informant” working for the FBI. Because the FBI uses confidential informants to handle suspects, if a plot is switched ”live,” the informant will be implicated as an accomplice and the FBI’s covert role will remain uncompromised. 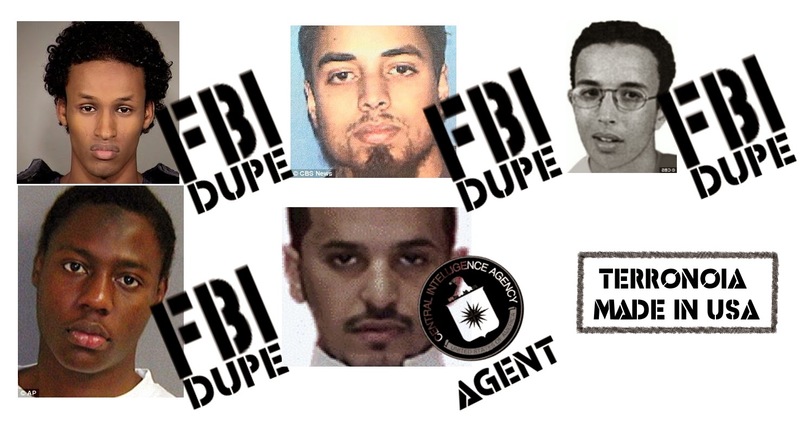 Image: The FBI has an impressive portfolio of intentionally created, then foiled terror plots. Its methods include allowing suspects to handle both real and inoperable weapons and explosives. These methods allow the FBI to switch entrapment cases “live” at any moment simply by switching out duds and arrests with real explosives and successful attacks. Because the FBI uses “informants,” when attacks go live, these confidential assets can be blamed, obfuscating the FBI’s involvement. In addition to Operation Northwoods, the public must also consider NATO’s Operation Gladio, and its larger “stay behind” networks established after World War II across Europe and at the center of multiple grisly assassinations, mass shootings, and terrorist bombings designed to demonize the Soviet Union as well as criminalize and crush support for left-leaning political parties growing in popularity in Western Europe. It would be determined that NATO’s own covert militant groups were killing innocent Western Europeans in order to effect a “strategy of tension” used to instill fear, obedience, and control over Western populations. That the FBI and Australian authorities had coordinated staged security operations in tandem on opposite ends of the globe to terrify their respective populations into line behind an impending war with Syria, and now two highly suspicious attacks have been carried out using the very script Western security agencies were using to lead suspects through “sting operations,” suggests a new “Operation Northwoods” or “Operation Gladio” of sorts is already being executed. Staged executions on cue by ISIS in the Middle East of US and British citizens at perfectly timed junctures of the West’s attempt to sell intervention both at home and abroad, and now live shootings just in time to heighten a new “strategy of tension” reek of staged mayhem for the sole purpose of provoking war. Could grander and ultimately more tragic mayhem be in store? As ABC News’ article on Operation Northwoods and the Military Channel’s documentary on Operation Gladio suggest, there is no line Western special interests will hesitate to cross. With the West attempting to claim ISIS now has a “global” reach, the US and its partners’ attempts to obfuscate the very obvious state-sponsorship it is receiving will become exponentially more difficult. That the FBI is admittedly stringing along easily manipulated, malevolent patsies who at any time could be handed real weapons and sent on shooting sprees and/or bombings – and now apparently have been – Americans, Canadians, Europeans, and Australians would be foolish to conclude that their real enemy resides somewhere in Syria and not right beside them at home, upon the very seats of Western power. Task force had war games drill of these types of terror scenarios. What are the chances that these mock terror drills are just a coincidence? In nearly every instance of a major terrorist occurrence in the West, it has been revealed that intelligence services were conducting war games exercises mimicking the very events that later come to pass. On the day of the London subway bombings in 2005 British authorities ran drills depicting the exact attack scenario that transpired later in the day. On 9/11 multiple US agencies were running drills simulating jet hijackings. And now we have confirmation that Canada’s intelligence services were doing the same thing. It has also been revealed that both suspects in the two incidents this week were being monitored by both US and Canadian intelligence for some time prior to their alleged attacks. Alex talks with Dan Dicks live in Canada about the shooting at the Parliament building. UPDATE: AT&T has blamed a “nationally syndicated radio station” for sending the alert message, despite the fact that only the federal government can send out EAS alerts. The alert system, “can only be activated by the President in times of emergency,” reports Fox 5. Americans watching television across the country were puzzled earlier today when an alert from the White House interrupted their viewing, told them to stand by for an emergency message and warned them not to use their phones. TV channels automatically changed to local news stations but no White House message ever came, prompting confusion and concern, especially given heightened tensions amidst the Ebola crisis. 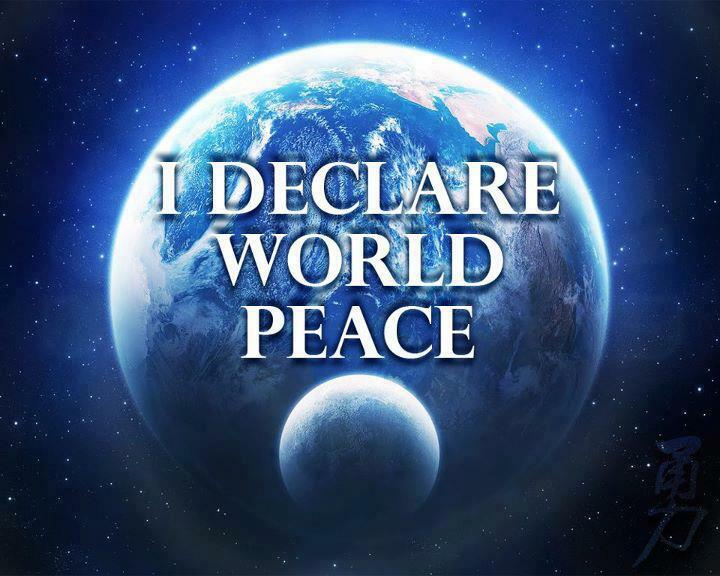 The message was seen by viewers in Austin, Atlanta, Detroit and across North Carolina, as well as other areas of the country. WSOC-TV out of Charlotte, North Carolina later posted a statement on their website saying they would investigate why the message went out, indicating TV and radio stations were given no advance notice of the test. An AT&T spokesperson later indicated that that the alert notification was sent out erroneously. “Earlier today, U-verse TV customers may have received an Emergency Alert notification. We confirmed that there is no emergency at this time and we are investigating why this occurred. We apologize for any inconvenience,” read the statement. However, the Emergency Alert System is mandatory by law – stations have no control or power to block the signal once it is sent out by the federal government. Broadcasters are required to install and maintain FCC-certified EAS decoders and encoders at their control points, meaning the signal cannot be switched off or interrupted. How sensible is it that the feds ‘mistakenly’ sent out an emergency alert – potentially causing panic – amidst national concerns about the Ebola outbreak in the United States? Back in 2011, a similar test of the emergency alert system, in this case for cellphones, went awry when residents were told that a “civil emergency” was in progress and that they should “take shelter,” prompting 911 lines to be flooded by panicked callers. Authorities later apologized, claiming the test was a mistake. Did you see today’s emergency alert message? Let us know what you think in the comments below.